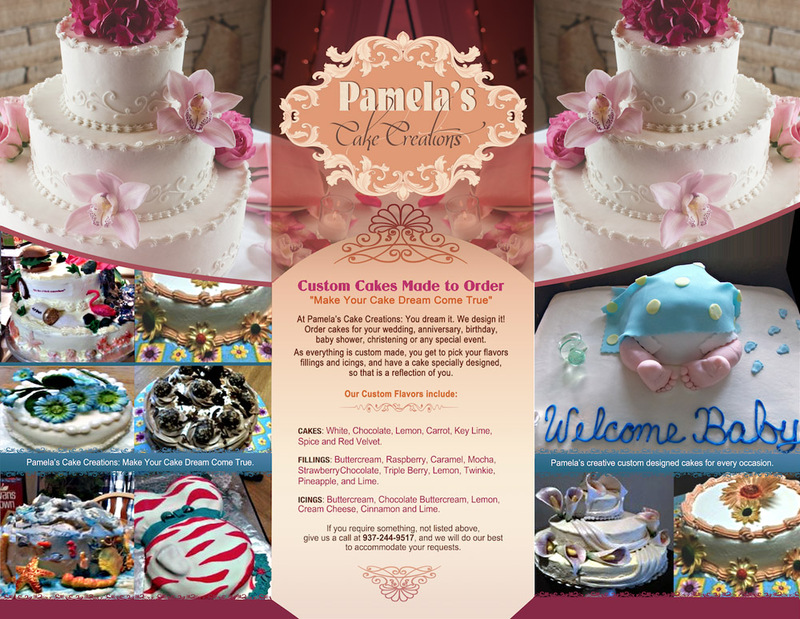 Pamela's Cake Creations specializes in providing custom designed cakes for weddings, anniversaries, birthdays, baby showers, christenings, special events and familly get-to-gethers. It is owned by solo entrepruner Pamela Brown, who has been making mouth-watering cakes and desserts for over 20 years. 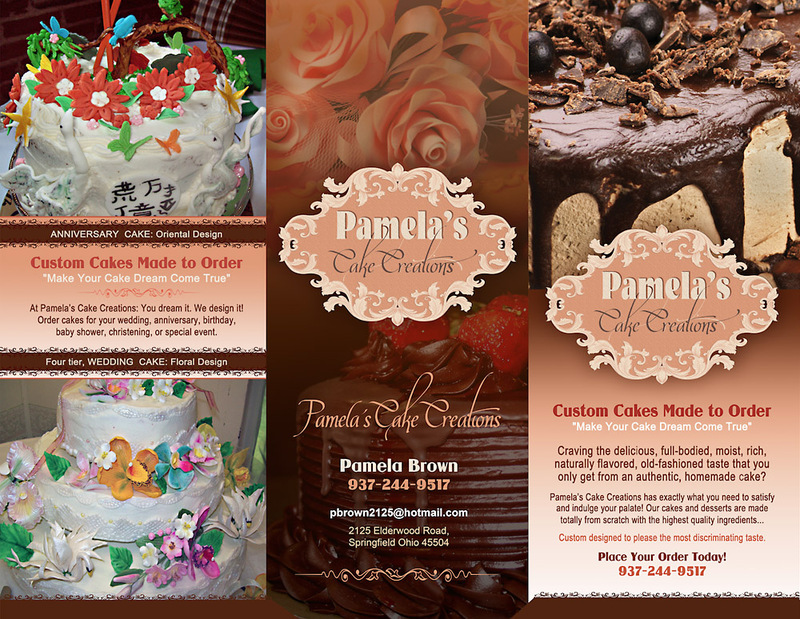 Corporate Branding for new business entitled Pamela's Cake Creations. A Logo design was created, to reflect the vintage, old-fashioned,refinde quality and style. 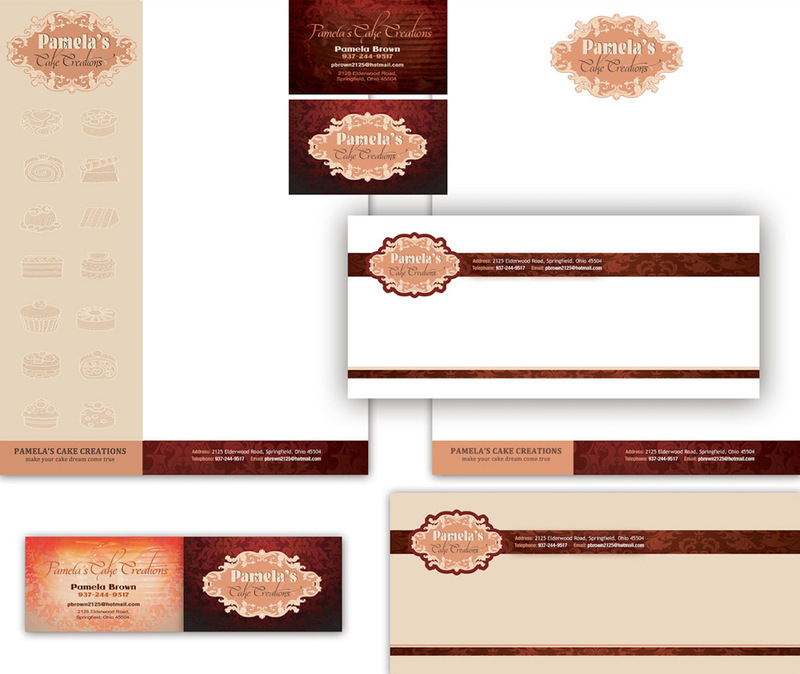 A Corporate Branding package comprising: Business Cards, Stationery (Letterhead and Envelopes) and Invoice were put together. A Brochure and company Signage was created.